In a metropolitan area that prides itself on a love of all sports and food, a new and much-needed trend has emerged in recent years: sports bars that put as much thought into menus as they do beers. Clock Tower Grill in Lone Tree is one such place where you can enjoy a meal even if a favorite team is losing to a rival. 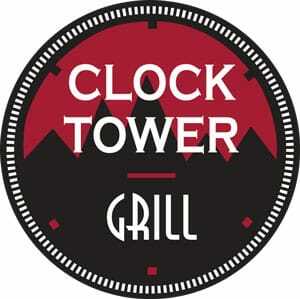 Tucked between the Lincoln Light Rail Station and Park Meadows Drive, Clock Tower Grill has been a fixture since 2009. With several Broncos Super Bowl victories, Avalanche Stanley Cup wins and even a valiant Rockies showing in the World Series, Coloradans take sports seriously. Very seriously. 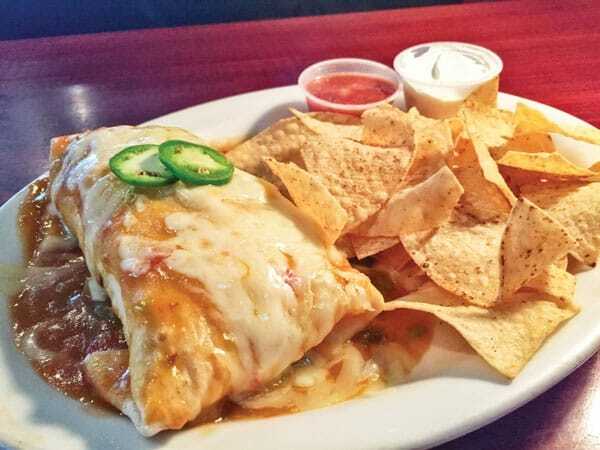 Clock Tower Grill caters to the passions of hometown fans, as well as those who follow other teams on every one of the 15 high-definition big-screen TVs. There is not a bad seat in the house! 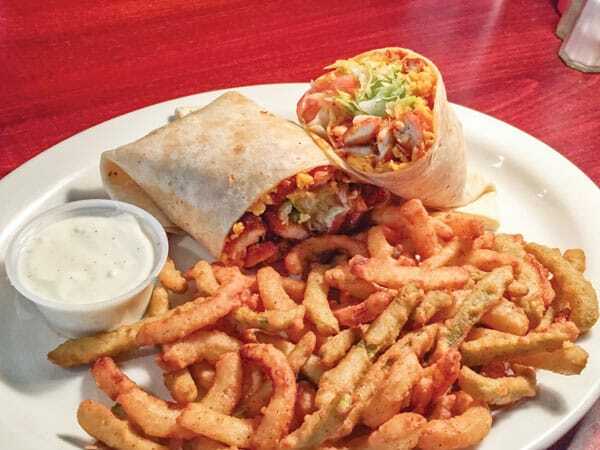 If the term “sports bar,” conjures up thoughts of greasy burgers, room temperature buffalo wings with bottled blue cheese dressing and soggy fries, Clock Tower Grill will be a pleasant surprise. With more than 40 beers and a variety of traditional bar food mixed with tacos, burritos, wraps, sandwiches and a build your own burger dish, every taste can be satisfied. There is no shortage of appetizers, but if something different sounds intriguing, try the Baked Avocado, which is a whole avocado halved and stuffed with goat cheese, bread crumbs, bacon, pico de gallo and topped with a balsamic glaze. There are traditional favorites too, like Fried Pickles, Cheddar Fries and Queso Con Carne. 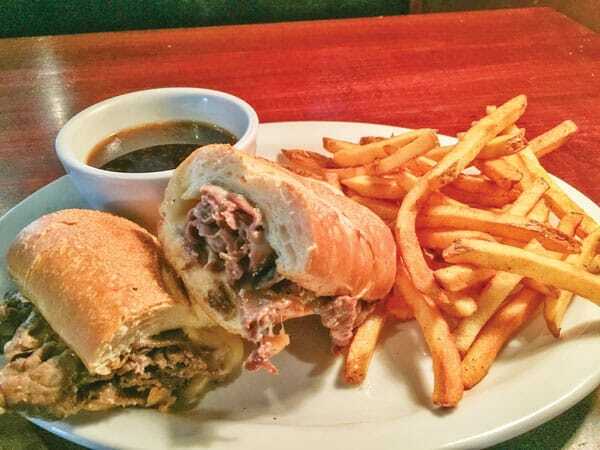 The Original French Dip with lean roast beef, melted jack cheese on a hoagie roll with a side of au jus is far and away a customer favorite. Be sure to ask for grilled onions on top to make this sandwich even more mouthwatering. In addition to lunch and dinner, Clock Tower Grill also offers a weekend brunch from 10 a.m. until 4 p.m.
With a cheeseburger and fries, chicken tacos with chips and fresh salsa, and soft pretzel sticks on the table, admittedly, our hands were reaching across the table to try parts of each others’ lunches. The pretzel sticks were my vehicle of choice for savoring the delicious queso, honey mustard and ranch sauces. Also into those sauces went fries and tortilla chips. All of the food was fresh and delicious to the point of everyone being full but not wanting to stop. The relaxed, no need to rush atmosphere contributed to the lingering pace of our tasty meal, which was perfect for a weekend afternoon. 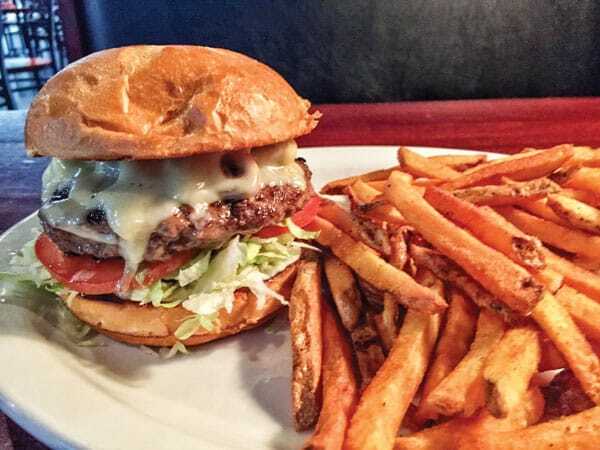 While the main draw of a sports bar is of course sports, Clock Tower Grill offers much more. There is no need to be a sports enthusiast when it comes to Clock Tower’s other events like Bingo Tuesday and Thursday and Karaoke Friday and Saturday, both of which bring in engaging crowds. Yes. Yes. There will never be a shortage of playoffs, tournaments and bowl games, but Clock Tower with its casual, neighborhood atmosphere brings people with different interests together. Clock Tower’s spacious interior has a bar area separate from the dining room. There is also a patio for outdoor seating in the warmer weather. Parking out front is limited, but customers can take advantage of the light rail’s free parking. When driving downtown sounds like a hassle or if you are looking for a place to stop before or after a game, check out Clock Tower Grill. Grab a few friends and root for the home team, play bingo, sing a bit of karaoke, enjoy a meal and catch up with a few drinks. No matter what is going on, Clock Tower Grill’s atmosphere is filled with enthusiastic fans, and the energy is contagious. For more information, including hours, daily specials and a full menu, visit www.clocktowergrill.net.